Fundamentals of Agile Certification—ICAgile presents a roadmap for getting started with agile and practical advice for the journey. 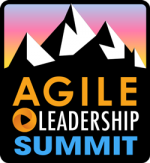 You will learn what agile is all about, why agile works, and how to effectively plan and develop software using agile principles, as well as ways to avoid the common mistakes of agile adopters. Upon completion of this two-day course, successful attendees will be certified by the International Consortium for Agile (ICAgile), awarded the ICAgile Professional designation (ICP) and be listed on the ICAgile website. Delivered by leading experts in the testing industry, Software Tester Certification—Foundation Level is an accredited training course to prepare you for the ISTQB® Certified Tester—Foundation Level CTFL) exam. ISTQB® is the only internationally accepted certification for software testing and has granted more than 400,000 certifications in more than 100 countries around the world. In this three-day course, you’ll learn the basic skills required of a software test professional and how testing fits into software development. This course is appropriate for those new to the testing profession and those seeking ISTQB® certification in software testing. Agile empowers teams to move fast, but at what cost? As agile organizations grow, alignment between business strategy and development reality becomes challenging and it's hard to keep track of all the ongoing initiatives. Key people in the development process need visibility without limiting the autonomy of teams, and you must have a balance of both in order to be successful. Learn how Portfolio for JIRA, the agile portfolio management tool built for JIRA, allows you to find this balance between visibility and autonomy in an agile world. Why Agile Works—and How to Screw It Up! Architecture vs. Design in Agile: What’s the Right Answer? Your User Stories Are Too Big: Yes, They Are! ZAPTEST - The Game Changer! Which Agile Scaling Framework Is Best? Playwriting, Imagination, and Agile Software Development … Oh My! How Far Can You Go with Agile for Embedded Software? Lorraine Aguilar, Working Harmony, Inc. The evolution of the needs of DevOps to bring us to the point. What is the Data Gap? What is the impact of the Data Gap? How is the Data Gap being bridged today? What does that look like tomorrow? Where Is Test in DevOps?